SOUTH LOOP — Diners at Acadia have been acting funny. Here’s why: 87 percent butterfat and a backstory of mythic proportions. The butter comes from Animal Farm, Diane St. Clair’s small farm in Orwell, Vt., where nine Jersey cows roam on pasture, producing milk about as sunny as a daffodil. At $20 a pound, St. Clair’s butter is used by only three other chefs in the nation — Thomas Keller on the West Coast, Barbara Lynch and Patrick O’Connell on the East Coast — and is sought out, mostly unsuccessfully, by others. Last week, someone — not a chef — "messaged me on Facebook asking if he could buy $1,000 worth of butter just for himself,” St. Clair said. Since October, McCaskey has been gently and respectfully pestering St. Clair by email and phone, asking if she could spare a little of her butter. His persistence paid off. In February, St. Clair shipped him his first batch overnight, unceremoniously packed in plastic storage bags. This is not butter to cook with or waste. 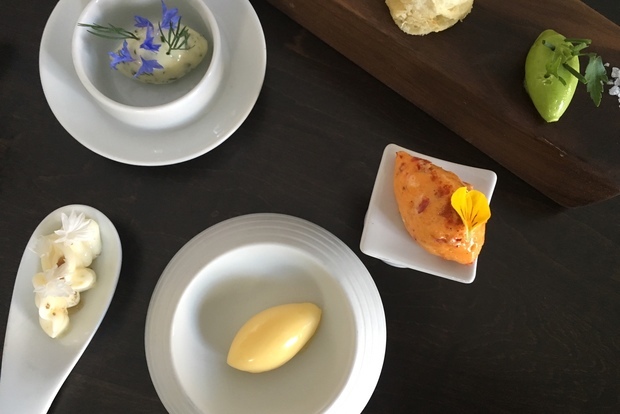 At Acadia, it is served about an ounce at a time with a delicate assortment of breads and other butters, part of the 10-course, $175 tasting menu. The chefs first whip it very gently, mix in a bit of sea salt and scoop it into a small oval sphere. As it warms to room temperature, the glistening quenelle seems to grow more golden. Then comes the taste. “It’s fatty, very clean. It coats your mouth,” McCaskey said. “If you taste it next to butter from the store, it’s crazy. The butter from the store tastes like wax." 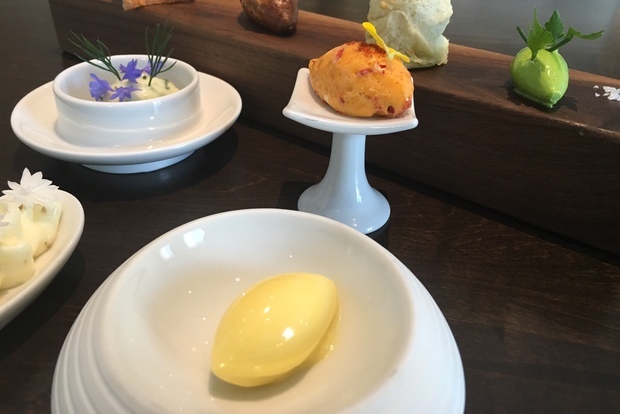 A self-described butter freak, he first tasted the butter three years ago at Keller’s Per Se restaurant in New York. 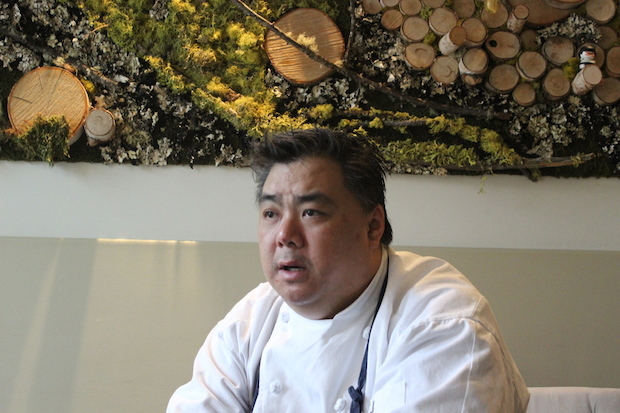 But he remembers hearing about it years earlier at Trio in Evanston, when Keller protege Grant Achatz was heading the kitchen. This part of the story is true: St. Clair wrote a letter to Keller asking if he’d like a sample. He did — and then he asked for all of her butter. That was in 2000. St. Clair said the breed of cow, the way she raises them and the painstaking steps she takes when making her butter — separating the cream from the milk by hand, twice a day every three days, for starters — explain its color, flavor and price tag. Jersey cows produce milk with more butterfat than Holsteins, the source of most supermarket butter, she said. They also process the beta-carotene in the grass they eat differently than other cows, resulting in striking yellow milk and butter. “And they’re not stressed. They’re relaxed. They’re not crowded or competing for feed,” she said. By law, butter has to be 80 percent butterfat. So-called European-style butter, which McCaskey also uses at Acadia, is around 83 percent butterfat. St. Clair’s is close to 87 percent. The majority of her butter still goes to Keller. The other chefs on the short list — Lynch, the prolific Boston chef and restaurateur, and O’Connell of the Inn at Little Washington in Virginia — get between 15 and 25 pounds of the 100 pounds that St. Clair makes weekly. McCaskey gets 10 pounds every two weeks. The only other places where the public can get Animal Farm butter are a co-op in the town next to Orwell, where it sells for $25 a pound (divvied up into affordable $5 portions), and New York cheese purveyor Saxelby Cheesemongers, which also sells St. Clair's buttermilk. She sends butter to Saxelby only once a year around the holidays, when Keller’s restaurants are closed. The butter sells out online within hours — even at $50 a pound (last year’s price). The much-decorated Achatz doesn’t even get her butter. 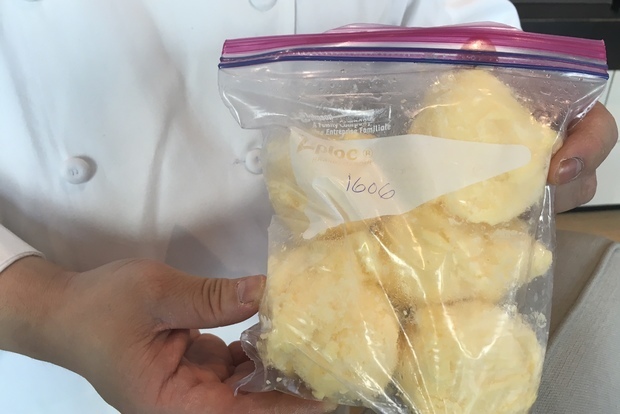 When he was preparing to open Alinea, St. Clair remembers him asking if she would supply his butter. At the time, she didn’t have enough cows to do so. “I had to turn them down and I feel sorry for that,” she said. Even now there's not enough of her butter for Achatz or anyone else. She has room for 10 cows (one’s a heifer), and no plans to expand. McCaskey happened to have good timing. “He wasn't asking for much. I was happy to share it,” she said. Still, getting Animal Farm butter is like being in serious relationship. She’s invited McCaskey to Vermont for a firsthand look at the farm and how she operates. She named one cow after Keller and one after Lynch, and she told McCaskey he could name one, too. “I make them make a commitment to the cow’s lactation. They can’t just call me next week and say, ‘I don’t need butter next week,’“ St. Clair said. McCaskey plans to visit in the spring. A Grateful Dead fan, he has a few names picked out. “Althea or Bertha,” he said.